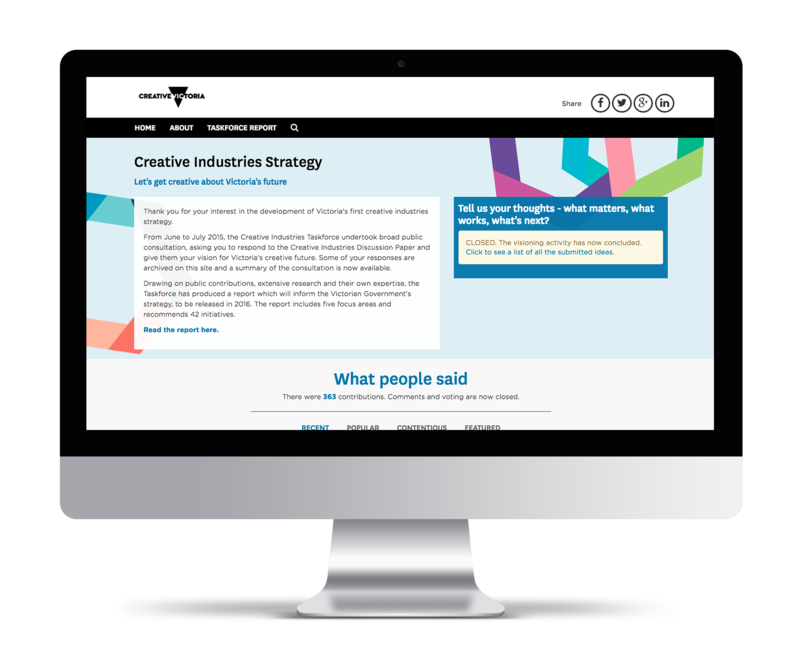 Harvest worked with Creative Victoria to optimise the Engagement CMS toolset to create an interactive website to engage with the public about their upcoming Creative Industries Strategy. 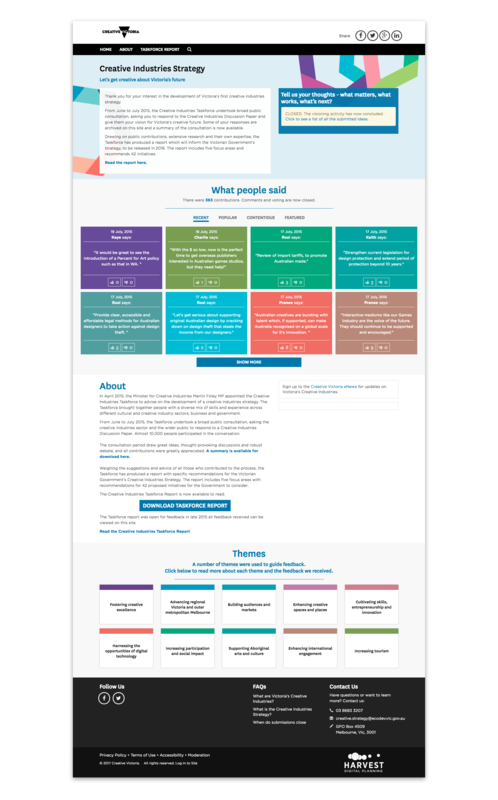 The site was used to summarise the contents of a Discussion Paper, advertise consultation events and importantly collect thoughts and ideas. 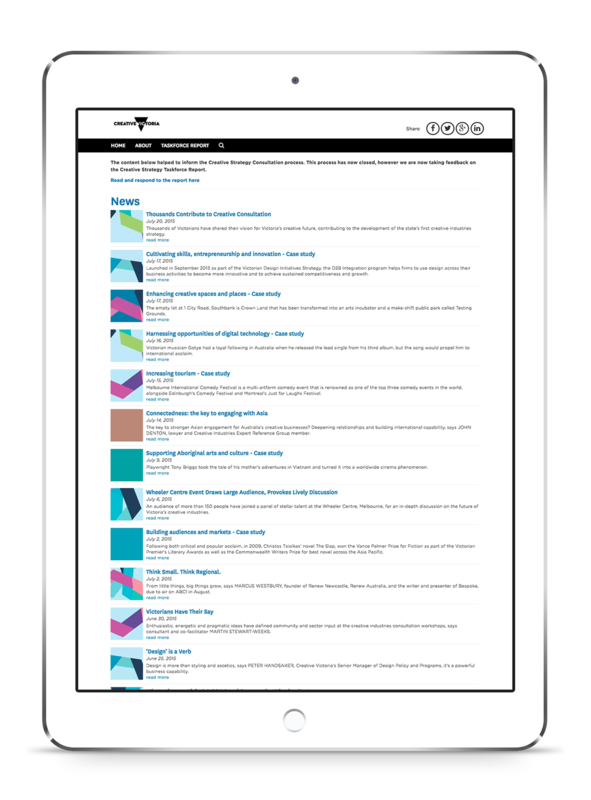 At the centre of engagement was a visioning type question that used our ‘virtual post-it note’ style tool (the Visioner). 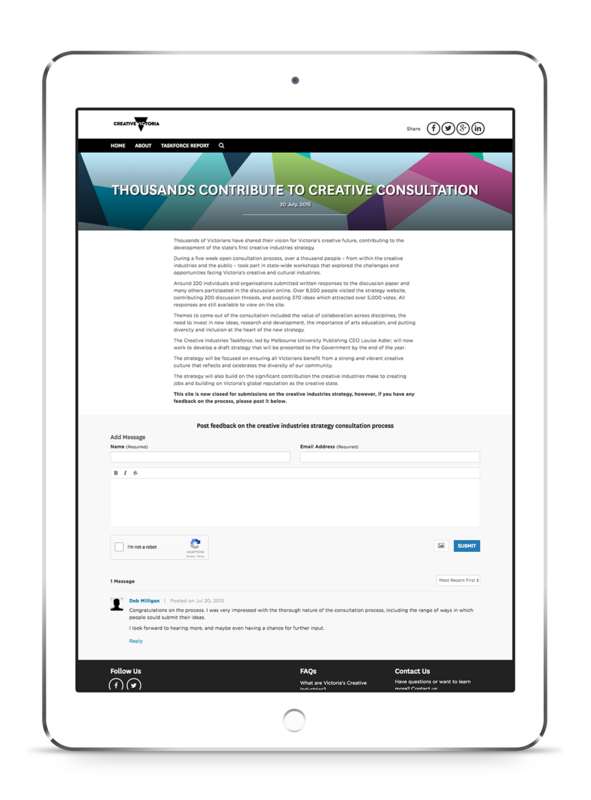 Users could leave a short comment (140 characters) on what they wanted to see in the future.Users could then like or dislike other user comments, and filter results based on a number of categories such as recent, popular, trending and contentious. 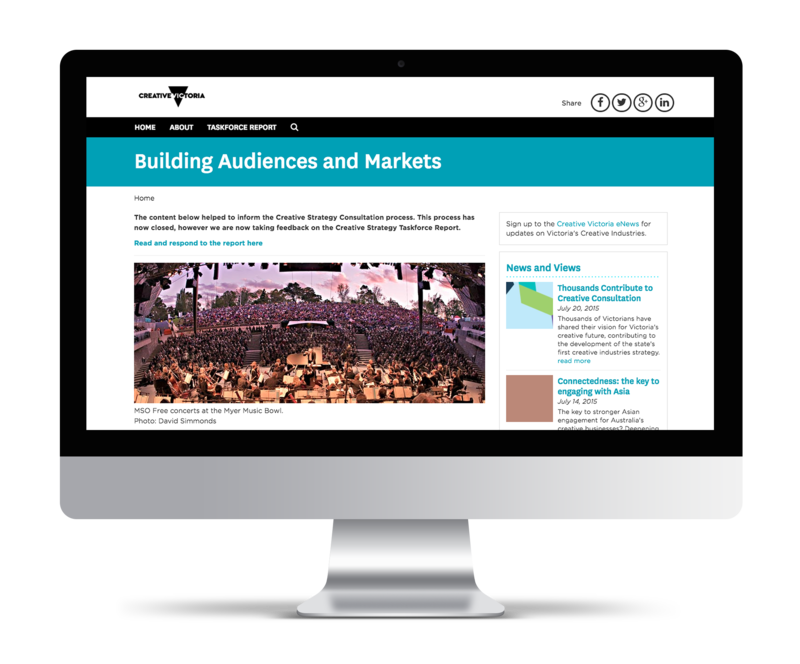 The site was an overwhelming success with over 363 quality contributions and thousands of visitors to the site.The model is now being used by other State Government agencies.